This residential home’s asphalt shingle roof was replaced with a Greenstone Vermont slate blend. 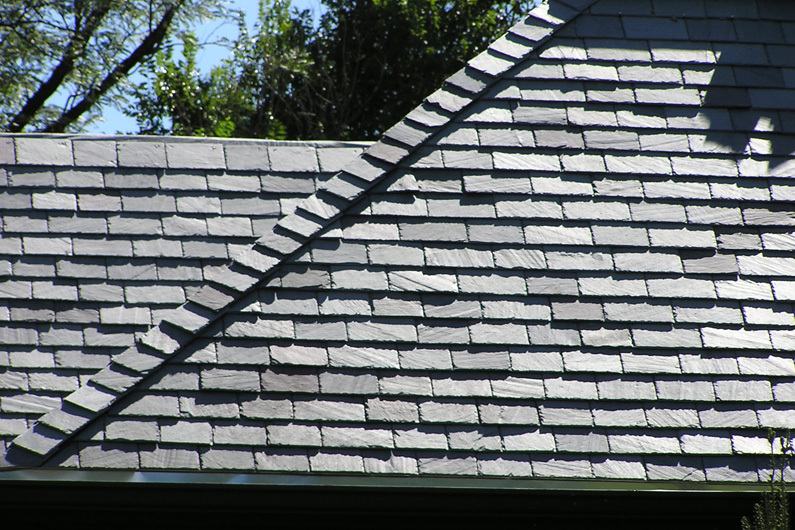 The genuine slate was installed using the SlateTec reduced weight slate roof installation. The SlateTec installation system reduces roof weight roughly 40% because it requires less slate, allowing a homeowner the opportunity to upgrade to slate without the concern normally associated with a slate roof’s structural support requirements. The slate blend consists of Vermont Mottled Gray/Black, Non-weathering Gray/Green, Semi-weathering Gray/Green, Mottled Green/Purple, and Royal Purple with a slate thickness of 1/4″ to 3/8″ slate.